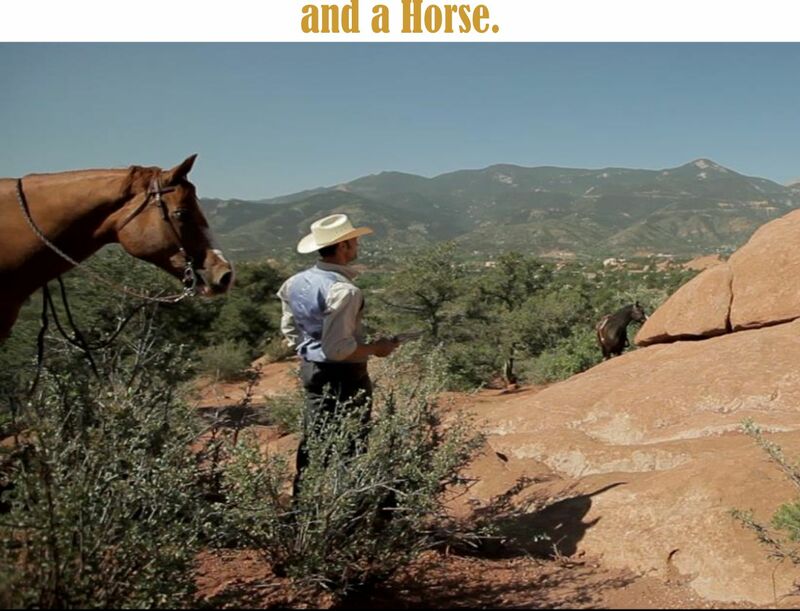 OK … you just made a Western. And you’re trying to think of a Title for it? OH I’ve got it ! 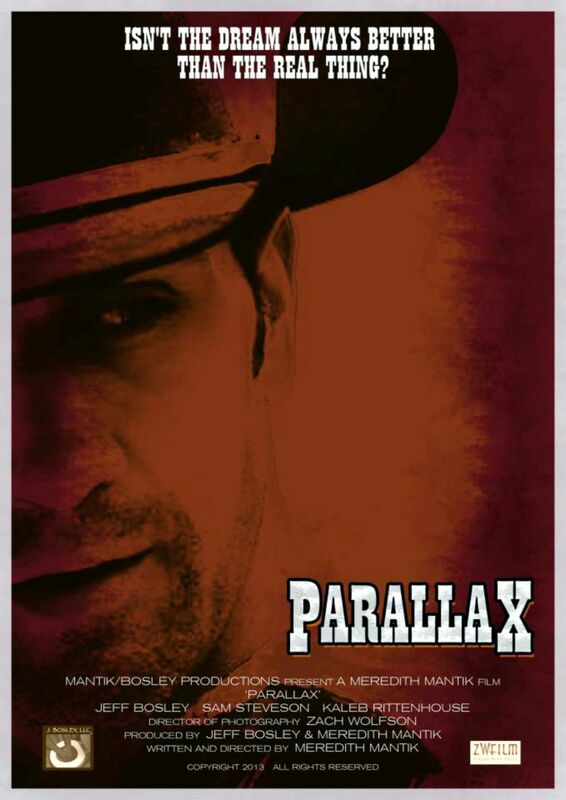 PARALLAX !! 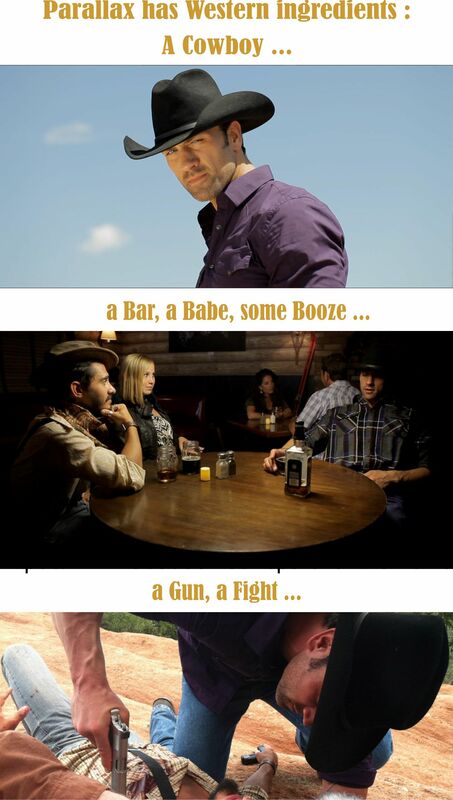 cuz it’s so Western sounding. – a couple of lazy guys? apparent change of position: an apparent change in the position of an object when the person looking at the object changes position. Example: you just got bucked off your horse but before you hit the ground the horse also kicks you in the head, causing you catch a glimpse of your girlfriend leaving in a Cadillac. Example: when you regain consciousness you are out of the body floating in outer space. You can see planet Earth below you, but before you can yell: “There’s my house.” you get zapped by two passing UFOs. 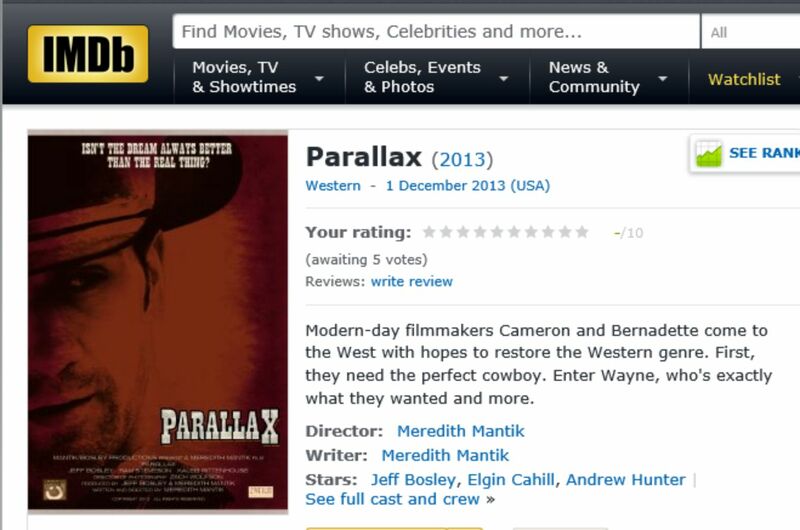 Everything in Parallax quacks with Western flavor … except the name. Have you actually seen this? Is it any good? You know what? I’d like to see it, but it’s really hard just to find ANY information about it. Supposed to be out December 1. I read that Bosley is trying to get it into (Redford’s) The Sundance Film Festival. So this is likely a small Picture with limited release. A lot of small movies are very good, but hard to find. If I find any access I’ll post it. We used ‘Parallax”s definition, apparent change of position, meaning things aren’t always what they seem. Last minute color corrections and score are wrapping up now. I try to keep everyone updated either on the FB site or my FB site. Thank you for the interest. It is going to be amazing. I couldn’t be more proud of this film. Hey Jeff ! Happy New Year ! Wishing you all the best on this project. Director and editor got back to me recently. The drama of post production….an exclusive clip and/or trailer will be out soon. Film is done, the sound guy we hired…well…fell through to keep it simple. We are remedying it as quick as possible. Thank you for the support! My pleasure. Hope things work out. Great News Jeff !! Thanks. Bravo !! Looking in ! Hey all! The trailer is up!!!! Hey Jeff -thank you very kindly. Looking forward to it.